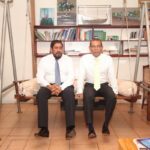 In the aftermath of Monday’s contentious no-confidence vote, fresh terror charges were raised against former President Nasheed, former President Gayoom was expelled from the party he founded, and former Defence Minister Nazim was abruptly taken back to jail after nearly a year under house arrest. The opposition alliance has denounced the government’s “new campaign of intimidation and harassment against opposition leaders” after a failed bid to impeach the speaker of parliament. In the aftermath of Monday’s contentious vote, fresh terror charges were raised against former President Mohamed Nasheed, former President Maumoon Abdul Gayoom was expelled from the party he founded, and former Defence Minister Mohamed Nazim was abruptly taken back to jail. 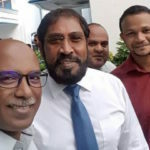 Jumhooree Party leader Gasim Ibrahim and his deputy, MP Abdulla Riyaz, were interrogated by the police whilst jailed MP Ahmed Mahloof was deprived of his weekly phone call, family meeting and conjugal visit for one month. “This week’s crackdown appears to be an attempt by the president to effectively criminalise the political opposition and thwart any attempts by the parliament to hold the president and his regime accountable,” the opposition alliance said in a joint statement on Friday. 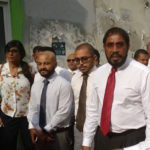 Ahead of the no-confidence vote, former Presidents Gayoom and Nasheed along with JP leader Gasim and Adhaalath Party leader Sheikh Imran Abdulla had signed a pact “to unite against President Abdulla Yameen’s increasing authoritarianism.” The grand coalition sought to dismantle the pro-government parliamentary majority with the bid to remove Maseeh. But Gayoom, who is in India visiting a sick relative, disputed the legal standing of the ethics committee, which he had suspended in October at the height of the PPM’s leadership dispute. According to the PPM’s charter, the party’s president can only be dismissed if a two-thirds majority of delegates at a national conference votes in favour of a no-confidence motion. 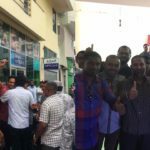 On Thursday, the civil court ordered the police to shut down the “office of the PPM president” set up by Gayoom in Henveiru Thema and to stop any activity being carried out under the party’s name with the PPM flag and logo. On Friday evening, police officers broke the padlock on the gate and removed the PPM nameplate and flag from Gayoom’s office. “I will sue those who vandalised my office premises today,” Gayoom tweeted. The day after the no-confidence vote, the Prosecutor General’s office filed fresh terrorism charges against former President Nasheed over the military’s nine-day “protective custody” of then-MP Yameen in 2010. But the first hearing of the trial was cancelled with the criminal court unable to hand over a summons chit to Nasheed, who has been living in exile since he was granted medical leave from prison in January 2016. The 49-year-old opposition leader, who was serving a 13-year jail sentence on a separate terrorism charge, has since been granted asylum in the UK. 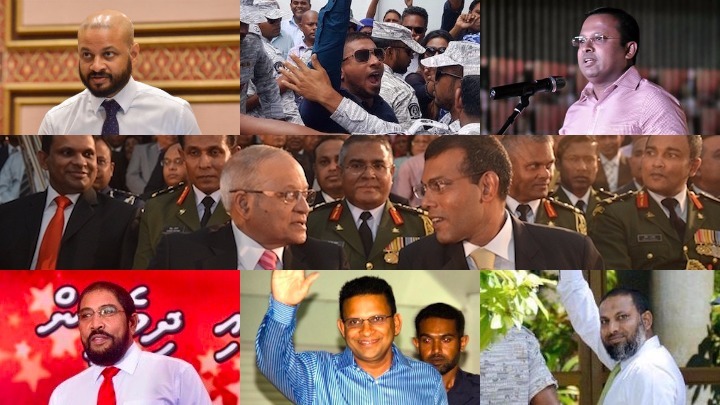 “These charges – which are dressing up a detention by a government as an act of terrorism almost seven years later – are a transparent attempt to prevent President Nasheed from returning to the Maldives to participate in the 2018 presidential elections,” said Jared Genser from Nasheed’s international legal team. Gasim Ibrahim was meanwhile interrogated for nearly four hours at the police headquarters on Wednesday night. The JP leader was accused of trying to bribe lawmakers to impeach Speaker Abdulla Maseeh. Gasim told reporters that the police questioned him for saying in a speech that the allied parties would grant tickets for the 2019 parliamentary elections to MPs who vote in favour of the no-confidence motion. “This is being orchestrated by some people who can’t digest what is happening politically. We heard one of them say something about pouring hot water. One of them said something about making our mouths sour and more,” he said. Gasim was also barred from leaving the country for one month. On Monday night, the police briefly detained MP Abdulla Riyaz and confiscated his mobile phone. Riyaz, the JP’s deputy leader and a former police commissioner, was later accused of spreading false rumours and attempting to influence the police force. Former Defence Minister Nazim was meanwhile taken back to jail on Wednesday without prior notice after almost a year under house arrest. “Maldivians already live in a large prison. Why should we fear the threat of a smaller prison?” his brother, Adam Azim, told the Maldives Independent. Two days after the no-confidence vote, the prisons authority informed the wife of jailed MP Ahmed Mahloof that he will not be allowed weekly phone calls or family and conjugal visits for one month. 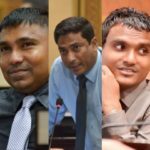 “They are saying that he threatened national security by urging lawmakers to vote for the no-confidence motion against the speaker and by appealing to [Maldives Correctional Service] to bring him to the parliament to participate in the vote,” his wife, Nazra Naseem, told the Maldives Independent. MCS spokesman Ahmed Lugman said Mahloof was deprived of the privileges for “acting against the rules of the jail” but declined to provide any details. On Friday night, Anas Abdul Sattar, secretary-general of the Maldivian Democratic Party, was also summoned for questioning at the police headquarters. Anas said the police interrogated him over a tweet from the MDP’s official account that urged opposition supporters to gather near the police headquarters in solidarity with Gasim when he was summoned for questioning. Ahead of the no-confidence, Gayoom’s son, MP Faris Maumoon, was meanwhile summoned to the police headquarters five times for questioning over a 2008 audit report on the former presidential palace. Faris, who leads a breakaway faction of the PPM loyal to his father, was at the forefront of the push to remove Maseeh. “Maldivians must see this renewed crackdown for what it is: a test for democracy,” he was quoted as saying in the opposition’s joint statement. Reporting by Mohamed Junayd and Hassan Moosa.